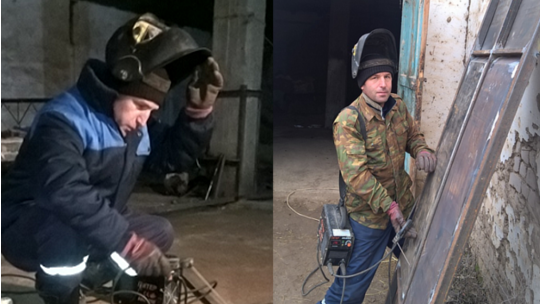 As a welder, Saidburhon developed his own workshop thanks to Humo MFI. He took his phone and immediately called the organization. He talked with the loan officer and told him that he was unemployed, but really want to work as a welder and need money to buy a welding machine. The officer provided him full information about the conditions of businesses loans. Some days later, Saidburhon took out a loan from "Humo" in the amount of RUB 10,000 with a term of 12 months to begin his welding activities. He began to provide services for the production of iron doors and grilles. His work brought him a good income and he repaid the loan before the due date. The second time, he received a loan in the amount of 3,000 TJS in May 2016 and purchased the necessary tools. As a result, his business expanded. For now, three people are working for his company. His living conditions have also improved. He bought some home appliances as a refrigerator, oven, and washing machine. In the near future, he plan to get a new loan for his wife so that she could study at sewing course and start her sewing business. If you want to finance other projects of micro-entrepreneurs in Tajikistan click here.